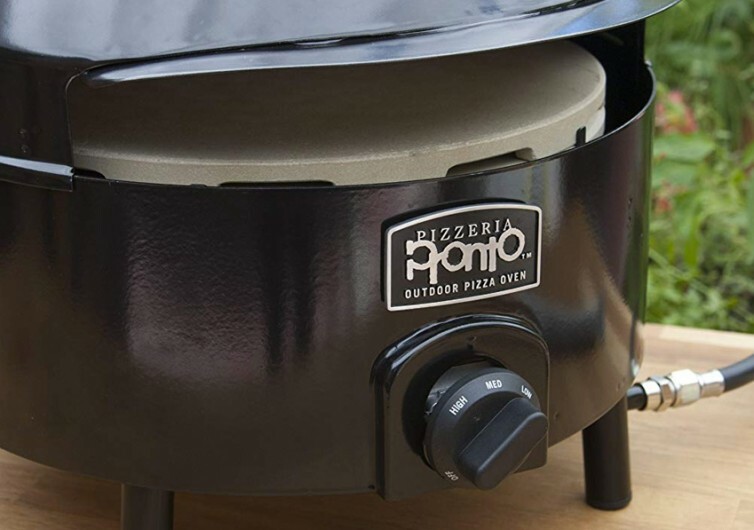 The Pizzeria Pronto is a highly portable pizza oven that can deliver delicious, handmade pizza in as little as 15 minutes. 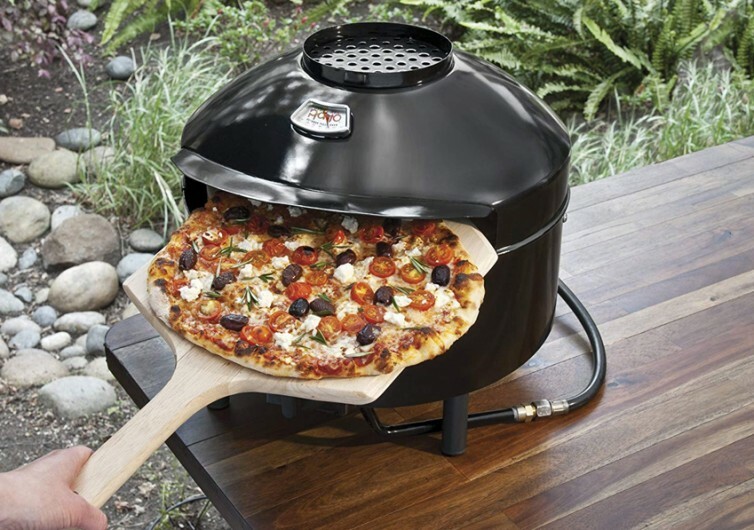 Whether you’re in your garden or in Mother Nature’s backyard, enjoying good, old-fashioned pizza is now made super easy and simple by this innovative oven. Running on portable propane fuel canisters, the Pizzeria Pronto can easily heat up its interior in as short as 10 minutes. 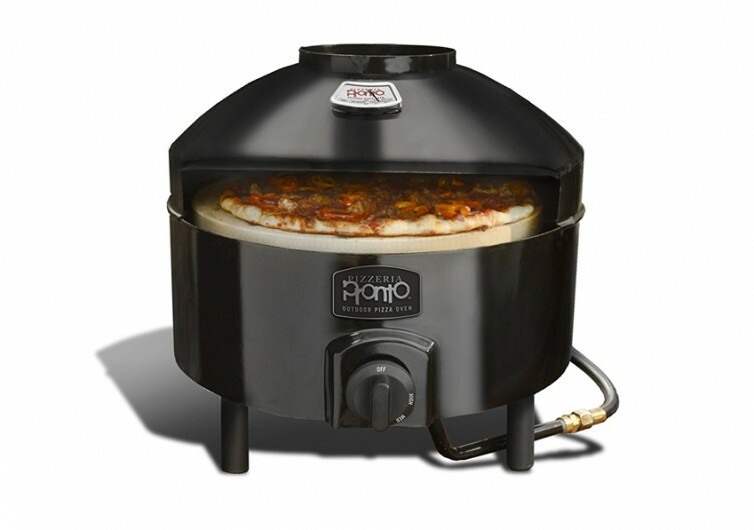 This heats up the dual layer cordierite pizza stone to the perfect pizza-cooking temperatures – up to 700 degrees Fahrenheit – so that when you put on your pizza crust, it will only take an additional 5 minutes to cook everything. The pizza stone comes with a hollow core which helps in heat diffusion, turning the entire pizza stone into one really hot bed so you get even cooking of the crust. The dome-shaped design of the oven reflects heat back to the toppings of the pizza so they cook at the same time with the crust. 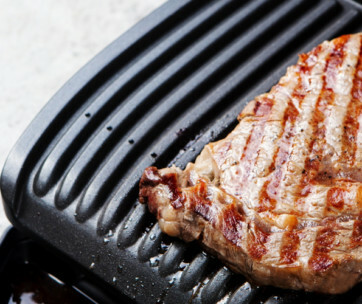 There are also moisture vents located topside, helping ensure you’ll get the much-needed crunch with each bite. After all, nobody likes soggy pizza. You get the crunchy crust and well-cooked toppings that can rival the pizzas of even the best pizzerias on the planet. 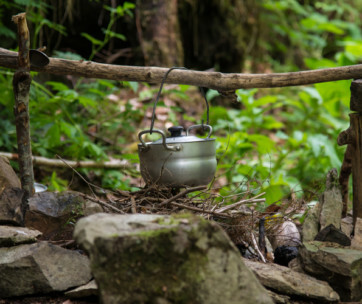 It even comes with a built-in thermometer so there’s no need to second-guess the temperature of the interior or having to stick a separate thermometer into the dome. This way you’ll have an idea of how your pizza-cooking is progressing. 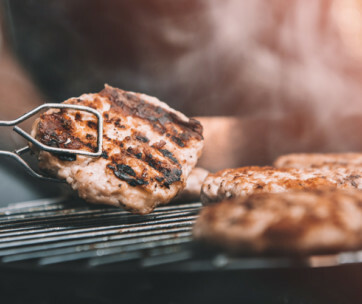 On the side of the Pizzeria Pronto is an ignition mechanism that doesn’t require any matches or any other form of ignition. Simply twist the knob and you’re cooking. 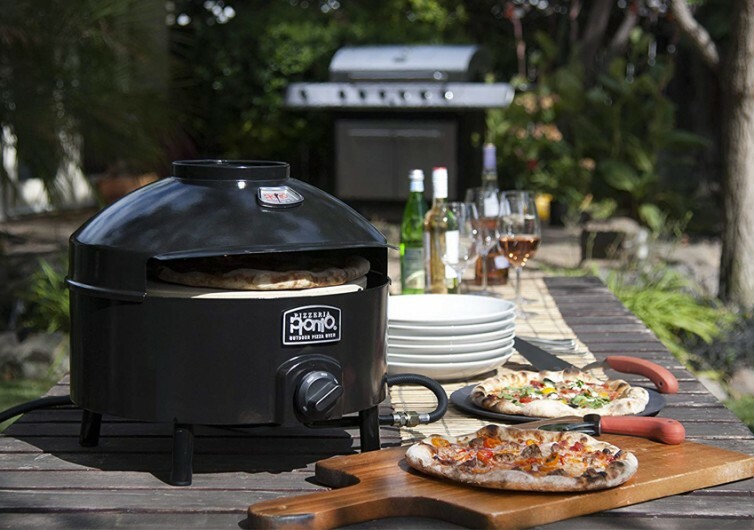 The Pizzeria Pronto makes a perfect gift for foodies, it is perfect for camping, picnics, and tailgating or simply a new way to enjoy weekend backyard family get-togethers. You’ll get perfect pizzas anywhere, anytime.